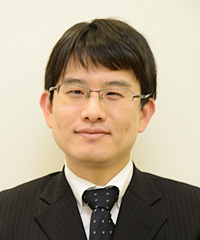 Yamashita Keigo (山下 敬吾, b. 6 September 1978 in Asahikawa, Hokkaido Prefecture, Japan) is a Japanese, professional 9-dan of the Nihon Kiin. He has been one the top players in Japan since the early 2000s, winning over 20-titles. He was a student of the Ryokusei Academy. On January 1, 1988, Yamashita and his older brother enrolled at the Ryokusei Academy with support of their parents. Yamashita became a professional five years later in 1993. Yamashita has a powerful, active and creative attacking style that makes him one of the most aggressive players of his generation. As such, his games are popular among go fans and media. Around the time when I became professional, I feel like I got strong. I was able to see the board as a whole. Around the time when I was a low dan player, I valued fighting above everything else, all-out fighting. It was unrestrained fighting go. From a different viewpoint, it was undisciplined go. Furthermore, he said that it was a kind of 'power go,' where the aim was to play the most severe move possible, but it was still an immature go. In order to improve his fighting he studied the games of Honinbo Dosaku and Honinbo Jowa more closely. From Dosaku he learned to play safe moves that delayed whole-board fighting until the time was right, but didn't put him behind in the overall game. From Jowa he learned how to sharpen his fighting even more. After winning the 65th Honinbo title in 2010 Yamashita took the name Honinbo Dowa (本因坊 道吾). He is able to use the honorific title for as long as he holds the Honinbo title.